I’ve never had a pet. Well, I have had the occasional fish but they float around without a care in the world. As a kid, there was never really a strong connection as I would have with a dog or a cat. Growing up, my pets were my Pokemon, as strange as it sounds. These monsters were always there like a loyal friend and I watched them grow and evolve as we trained together. There was never any interaction towards me, they didn’t respond to my cheers when they defeated another trainer, or my frustration when they missed a critical move. But they were absolutely there for me. Related reading: The most recent Pokemon release is Pokemon Omega Ruby and Alpha Sapphire. Clark's full review. Ever since the re-release of Pokemon Red, Blue and Yellow on the 3DS VC, I have Poke-fever, or Pokerus might be a more appropriate term. I have started a file on Pokemon Red, continued my file of SoulSilver, checked my boxes in Diamond, bought and started Pokemon Black and finished my 2nd run of Pokemon X. It’s strange to think, the formula hasn’t changed drastically since its first iteration back in 1996. Trainers travel through a faraway land, collecting medals of honour from gym leaders who have yet to realise having a team all with the same fatal flaw is a recipe for disaster (let’s be honest though, we all end up doing that, because our favourite pokemon always end up being the same species). On this journey, the player will encounter an evil organisation, encounter rare one-of-a-kind Pokemon who decides to let you catch it, and eventually you'll really prove your worth as a trainer by battling the five strongest trainers available. Apologies if I spoiled anything, but it really hasn’t changed at all. And yet, there’s something that I appreciate about travelling through these familiar fantasy worlds with a team of six monsters. I don’t think I’m alone when I stay that I still go to bed sometimes and dream that I would live in a world with Pokemon, I did that ever since I was a kid. And that’s what Pokemon does to me, it brings me back to my childhood. Where I would stay up late at night trying to beat the Elite Four with my favourite Pokemon who were severely under levelled. Or battling with my sister who was a better trainer than I was. And while both of those things don’t happen now, I need my sleep and I am a much stronger trainer, I still look for the Pokemon experience that I grew up with. I’ll always go for an Espeon and a Jolteon, find someone to trade so I can get a Gengar and nearly always pick up the fire starter. It’s something I did when I was young and something I continue to do. Pokemon to me will always bring me back to having my own little gang. 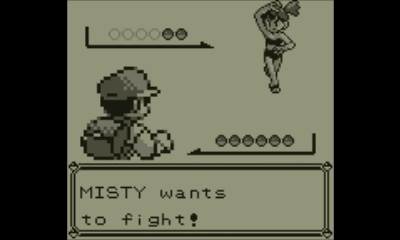 I have never given my Pokemon nicknames, Bob just doesn’t do much for me. 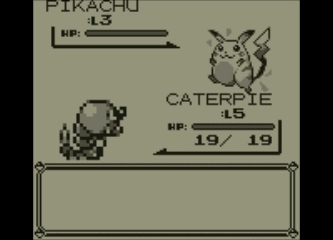 But in nearly every game, I stick with the Pokemon I get early on. Bonds are formed, and they mean a lot to me. I genuinely am concerned when one of my Pokemon faints: will they hold it against me that I chose to carry on without them rather then rush back to the Poke Centre to heal them? Will they appreciate that I used my last revive on them? Will other Pokemon resent me for not nurturing them like I do my favourites? Pokemon is also much more than a fantasy adventure. It’s strategic, like a game of chess but with 18 different types of pieces. Not to mention there’s Pokemon that have duel types, a complex type chart, abilities and natures that change how individual Pokemon operate, not to mention the complex EV training. There’s just enough strategy with these battles that can make them challenging - You just have to look at the Pokemon World Championships to see how seriously battles are taken - while not unfairly difficult. It’s enjoyable, something that the 3DS has taken full advantage of by allowing for 3D battles. And that’s what Pokemon is. It’s enjoyable, and nostalgic, while feeling fresh with every entry into the series. It’s engraved itself within my childhood, something which I’m quite fond of. And I don’t think I’ll ever not use the "press down and B button trick" when throwing a pokeball to help with the capturing of a Pokemon... even though the older, wiser me knows that that trick doesn't actually work. Related reading: Don't forget, the Virtual Console edition of Pokemon Blue, Red and Yellow will actually allow you to transfer your critters to the newer games via Pokemon Bank! Awesome! Did you grow up playing Pokemon as well? Have any stories to share? Shout out in the comments and let us know!